Get away from it all in the Sussex countryside. The beautiful South East countryside and ancient woodland areas are the perfect location to book your holiday. A holiday in Rural Sussex cottage will allow you to escape and unwind in scenic countryside. Bliss! Take time to enjoy the glorious Sussex scenery perfect for gentle countryside walks, picnics, or family bike rides. Explore the rich history of Sussex at one of the many heritage sites including castles and manor houses, or why not indulge in a spot of shopping and dining in one of the bustling market towns nearby. Booking a property in the Sussex countryside is a real treat. It offers a tranquil holiday for those wanting to relax, but has plenty nearby to keep more active people happy. It is the perfect place for people looking to holiday with the family, or for couples looking to enjoy a break away for two in Sussex. With the coast not far away there really is something for everyone in this part of South East. Please see below for a list of our latest availability of our charming rural Sussex cottages. We have a range of delightful Sussex holiday homes from traditional period holiday properties to modern homes which are perfect for your break away in Sussex. 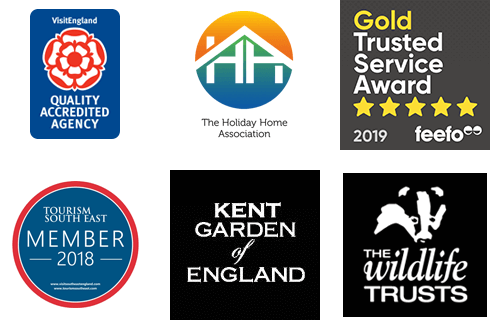 A holiday in the Sussex countryside is easy to plan with us, we are happy to take any queries you may have, or help you make your booking over the phone on 01580 720770.